Canadian commercial fishermen harvest a wide range of seafood from some of the world’s most productive waters. 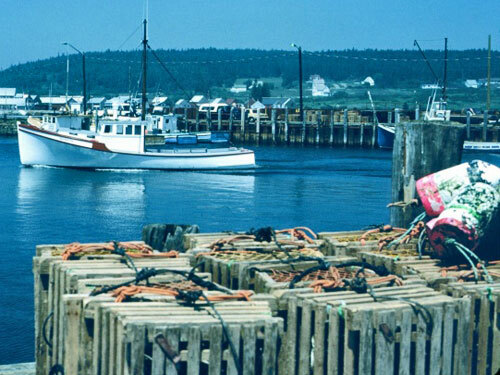 Commercial fisheries exist in Nova Scotia, New Brunswick, Prince Edward Island, Newfoundland and Labrador, Quebec, Ontario, British Columbia, Manitoba, Saskatchewan, Alberta, Nunavut, Northwest Territories, and Yukon. According to Fisheries and Oceans Canada (DFO), the majority of wild caught seafood harvested by Canadian fishermen is exported. Principal seafood exports include American lobster, snow (queen) crab, coldwater shrimp, and sea scallops. Although less important in terms of value, numerous freshwater commercial fisheries occur in Canada. Significant inland fisheries are located in Lake Huron, Lake Ontario, and Lake Superior (Ontario), in lakes Winnipeg, Cedar, Manitoba, and Winnipegosis (Manitoba), and in Great Slave Lake (Northwest Territories). Important freshwater species fished commercially in Canada include yellow pickerel (walleye), whitefish, and perch. Fisheries and Oceans Canada is the federal agency in charge of safeguarding waters and managing Canada’s fisheries, oceans, and freshwater resources. In 2018, Canada announced the creation of a stand-alone Arctic Region inclusive of the four regions of Inuit Nunangat for the Department of Fisheries and Oceans (DFO) and the Canadian Coast Guard (CCG). Previously Fisheries and Oceans Canada had 6 administrative regions: Newfoundland and Labrador, Maritimes-Scotia Fundy, Gulf, Quebec, Central and Arctic and Pacific. There will be 7 regions once the stand-alone Arctic region has been established. The Canadian Coast Guard (CCG) was previously divided into 3 operational regions: Western, Central and Arctic, and Atlantic. The Coast Guard will have 4 operational regions once the stand-alone Arctic region is established.